Görlitz is not really the best known German city, not even amongst Germans. But actually, Görlitz is known all over the world. In Hollywood for example everyone is raving about Görlitz. Tarantino loves it, Wes Anderson too and so does Jackie Chan. 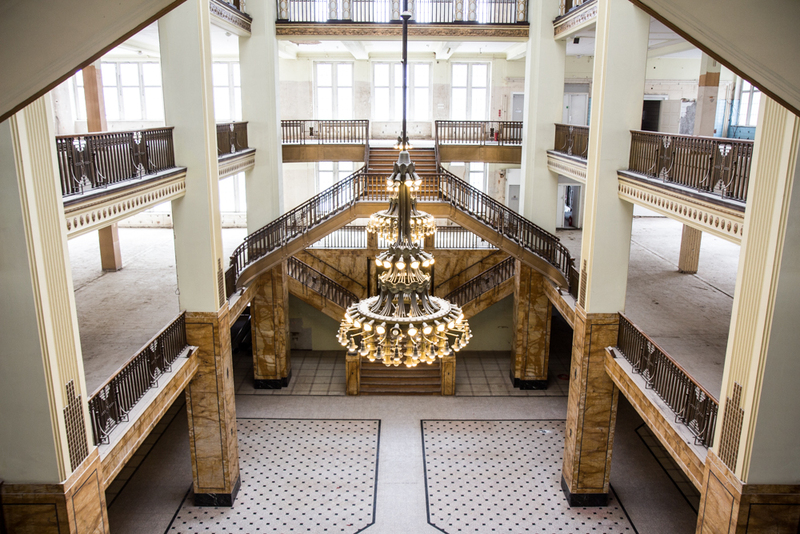 Görlitz was the set of many famous Hollywood movies during the last few years. 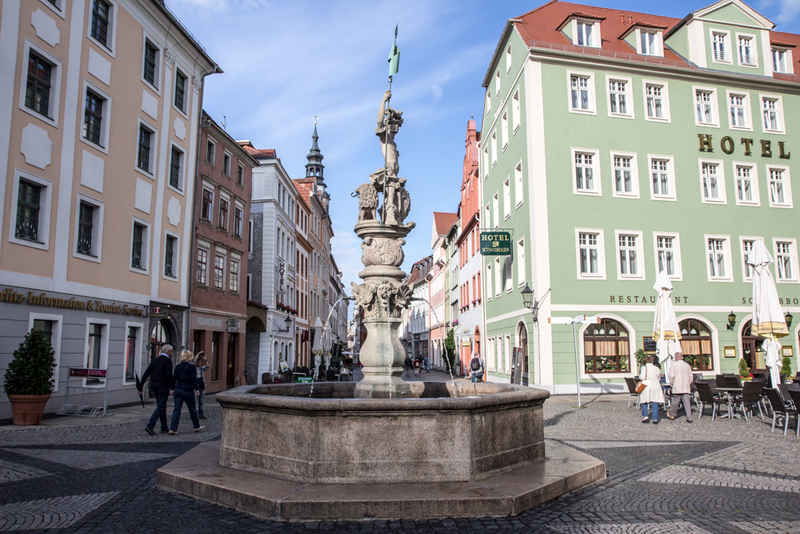 With the old town it’s the perfect setting for many historical movies and Hollywood loves Görlitz especially because it’s more laid back compared to other cities. No fan-hype, no masses of bystanders, no besieging of the stars. The people of Görlitz are pretty relaxed about the fact that Hollywood celebrities are buying shoes in the same shops they do, or eating soup at their favorite restaurants. Görlitz turned into Görliwood, reason enough for me to visit the most Eastern city in Germany. 1. Get lost. I think the best way to explore a city is to just start walking and get lost without a plan, this also works pretty good in Görlitz. I love when a city surprises me and so did Görlitz. When you’re walking through the old town you really don’t know where to look first because everything is so unbelievable pretty there. And you totally get why Hollywood loves this city. Görlitz is pretty, easy as this. And everything is worth seeing. Let it be the wonderful old buildings at Untermarkt or Obermarkt, or the many small streets with this very weirdly beautiful morbidly charm. 2. Check out film settings. 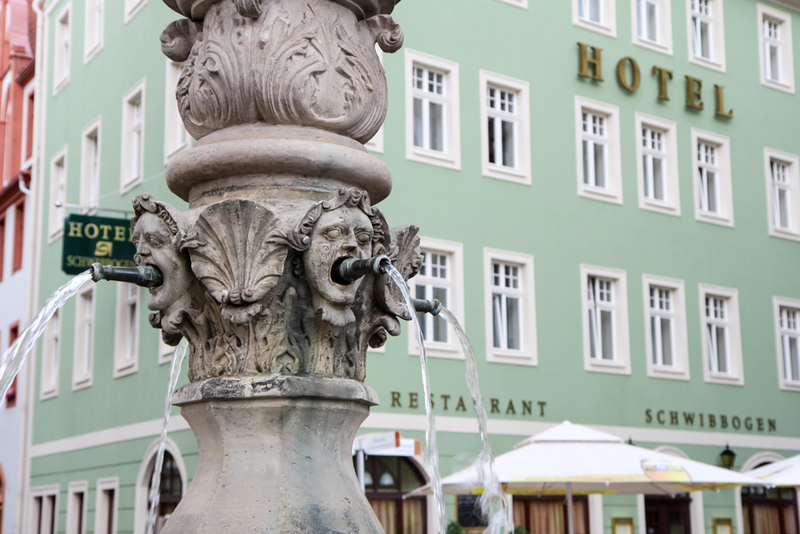 Görlitz is more or less just one huge film fest, as at nearly every corner famous movie were filmed at. Görlitz has been the Paris of the 18th century in “Around the World in 80 Days” with Jackie Chan, it’s been the Heidelberg of the 1950ies in “The Reader”, was used as film set for the movie “Stolz der Nationen!” in Quentin Tarantino’s “Inglourious Basterds” and the probably best known building is the old mall in Görlitz, which was abandoned for a while before Wes Anderson turned it into the “Grand Budapest Hotel”. 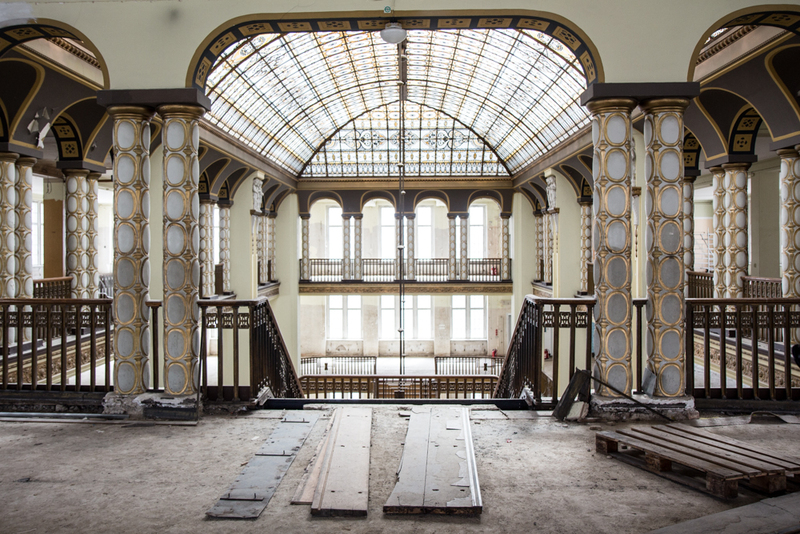 You can really tell when you’re standing in front of it, but when you’re looking inside or when you’re lucky enough to meet a lovely person from the planning office, who maybe will let you come inside, then – all of a sudden – you’re standing in the Grand Budapest Hotel. 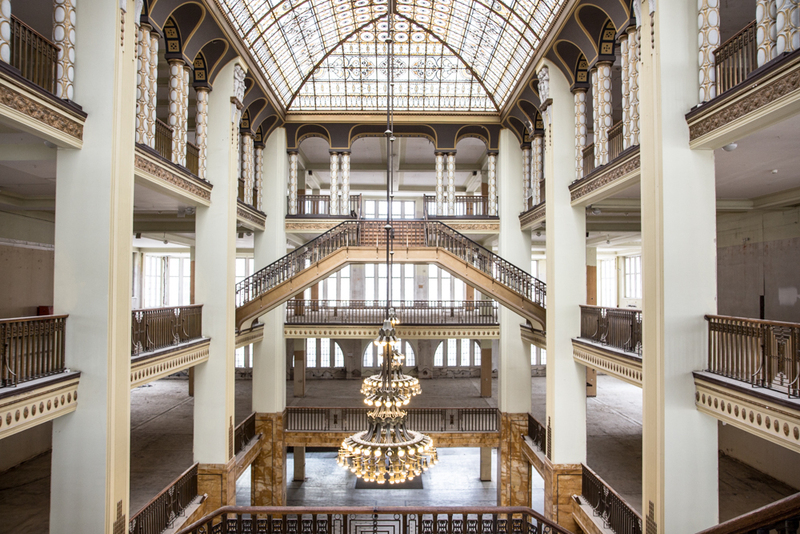 After the movie was shot there they found an investor and now the old mall will open again in 2017. 3. 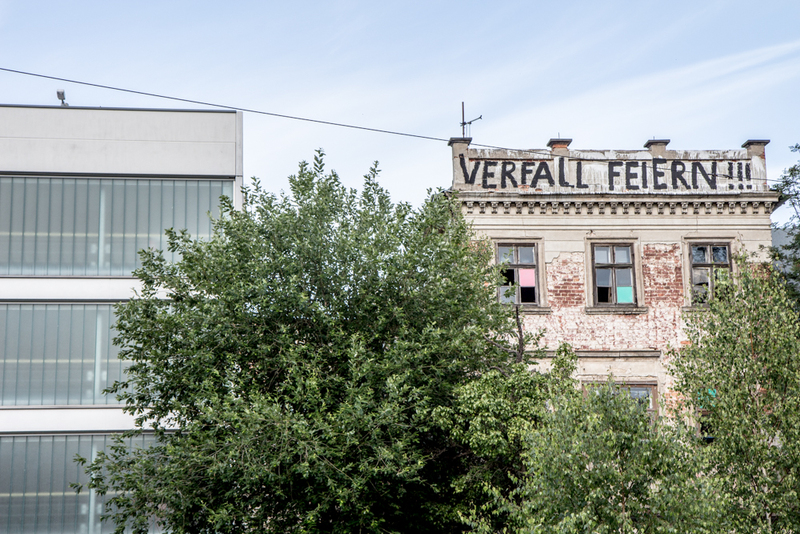 “Verfall feiern” (Celebrate the decay), that’s what one graffiti at an old rundown building in Görlitz says. And when you look at the modern building next to it, melancholy comes up. Because although Hollywood brought a lot of money to the city, it’s still not enough money to save all the old buildings. 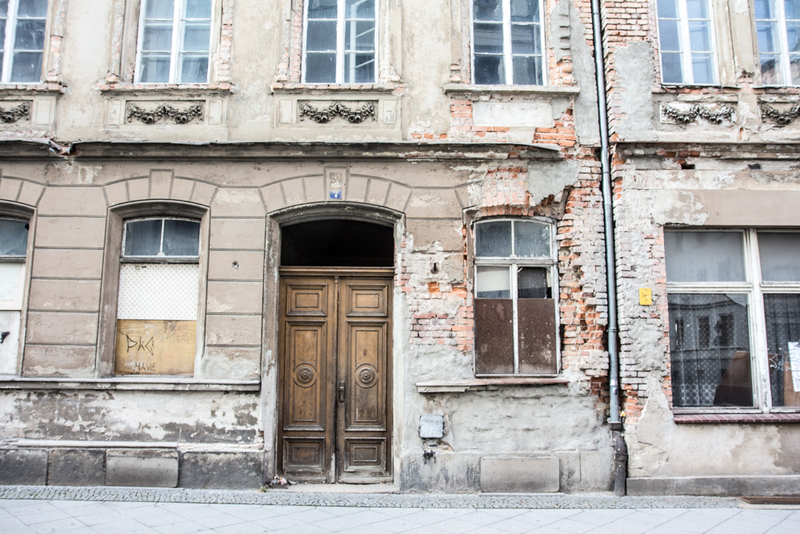 I have to admit: I love old buildings, especially when they look a bit rundown, but, if you can’t stop their decay and they’ll all be gone sooner or later, the romantic inside of me gets sad. And I hope Görlitz can keep this very special charm for a long time, and that they’ll celebrate the preservation and not the decay. 4. Walk to Poland. 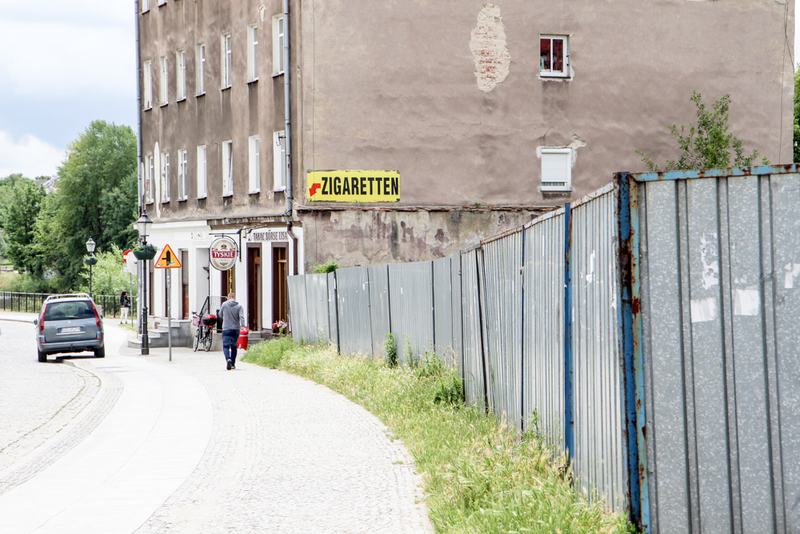 Yes, Görlitz is the most eastern city in germany and yes, you can walk to Poland from there. I didn’t know that and was quite surprised when I all of a sudden saw all the huge “cigarettes” sign. Since after World War 2 the Lusatian Neisse is the border between Poland and Germany and the part of the city which lies east of the Neisse is since then the Polish city Zgorzelec. And cigarettes (and booze) is cheaper in Poland. 5. Go to the movies. 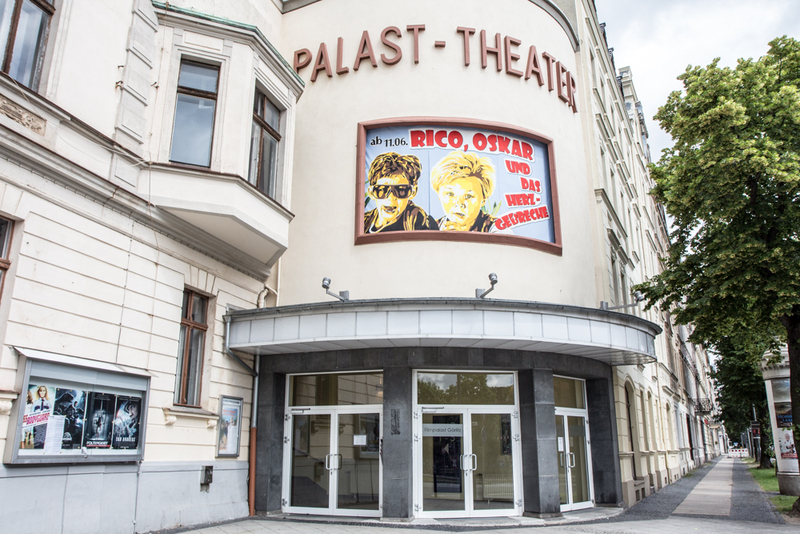 The cinema Filmpalast in Görlitz inspired Quentin Tarantino for the Parisian cinema in Inglourious Basterds. They didn’t shoot there but I still thought it could be a nice idea to go and see a movie in there. I was actually hoping for an old black and white movie or at least a movie which was filmed in Görlitz, but the program offered nothing like this so I went to see a Nicholas Sparks fluff. But at least I had the whole cinema for myself, people in Görlitz obviously have better things to do than to go to the movies on a Friday afternoon. 6. 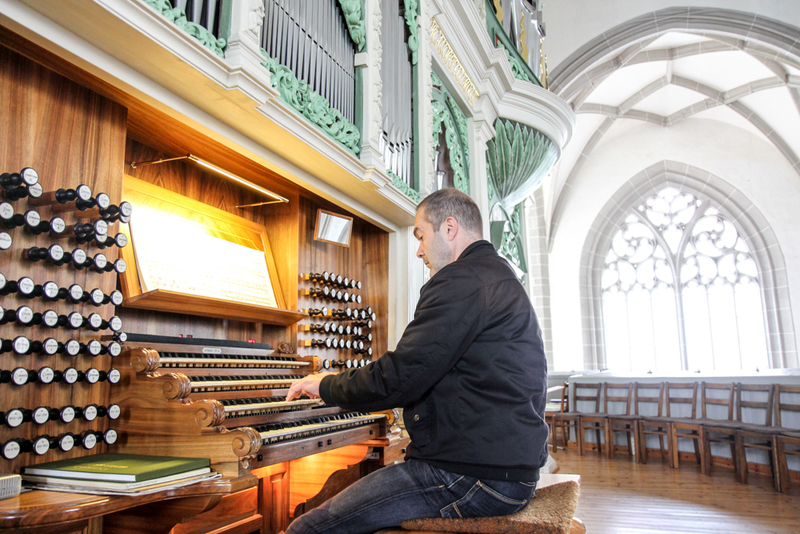 Do a guided tour of the organ. This might sound weird but it isn’t. While I was walking through the old town I suddenly heard organ sounds and I just had to follow it and went to St. Peter and Paul church. 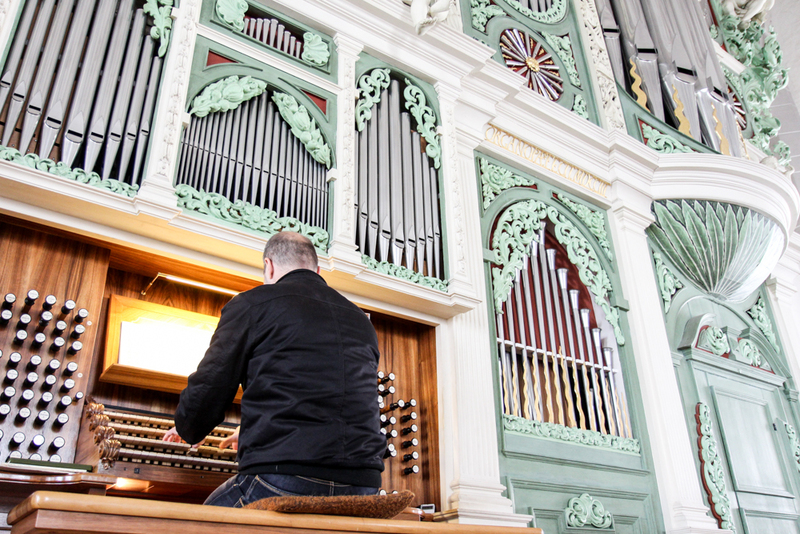 What I didn’t knew was, that in there you’ll find the world-famous “Sonnenorgel” (sun organ) made by Eugenio Casparini and a few times a week you can go on a guided tour and listen to the wonderful sound of the organ. 7. Have breakfast in a heritage-protected room. 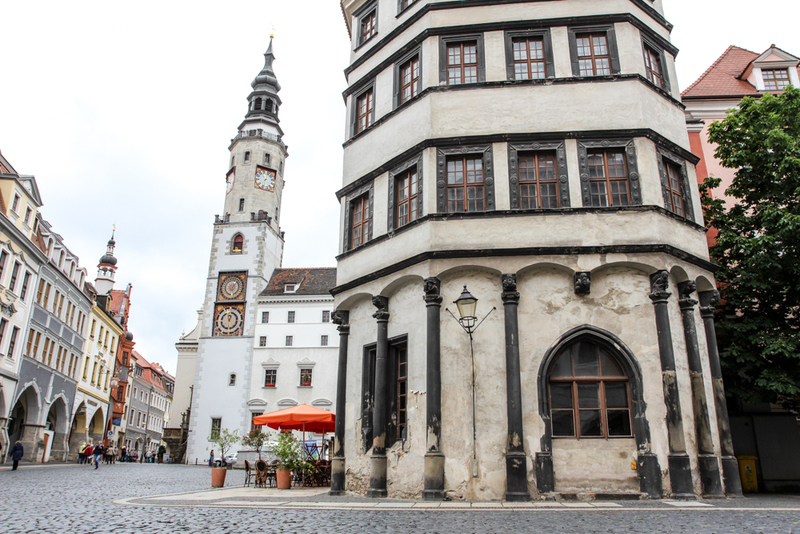 Görlitz has a lot of history and so do its buildings. 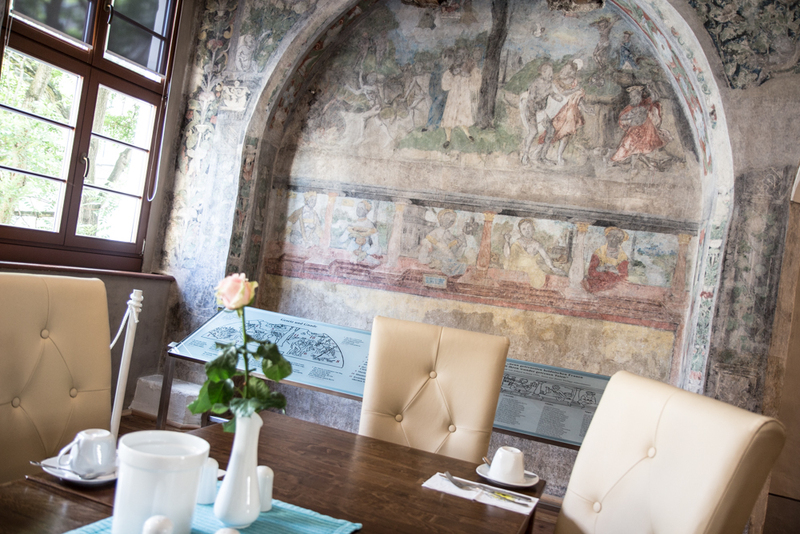 In the hotel Schwibbogen they found a room with 500 years old murals made by a student of Lucas Cranach when they renovated the building in 2010. I choose to stay in this hotel as it had a 100% recommodation rate on HolidayCheck and I thought I want to see if it’s really that good. And, well, it is. I espcially liked it because the stuff there was really really friendly (and the location is perfect right at the Obermarkt in the old town). ✈️ The next airport is the one in Dresden. 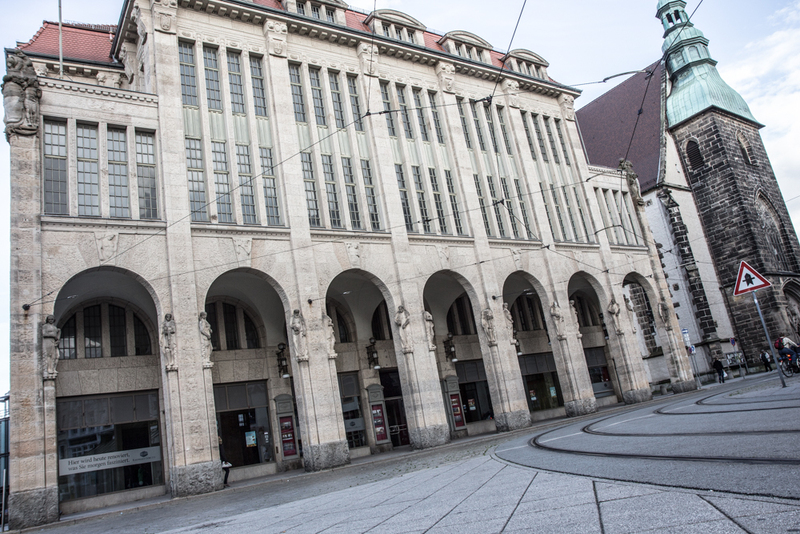 From there it’s convenient to take the train to Görlitz.
? When you’re traveling by car to Görlitz, I do have a special tip for you. You can get a “tourist parking ticket” at the tourist info for € 2.50 a day, which is WAY cheaper than when you’re feeding the parking meter.
? 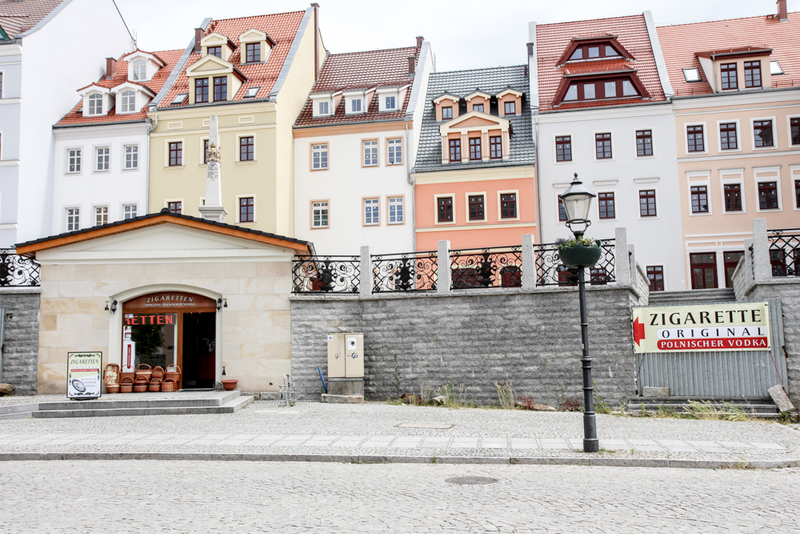 Best is to stay in a hotel close to the old town of Görlitz, as that’s the most convenient for exploring the city. 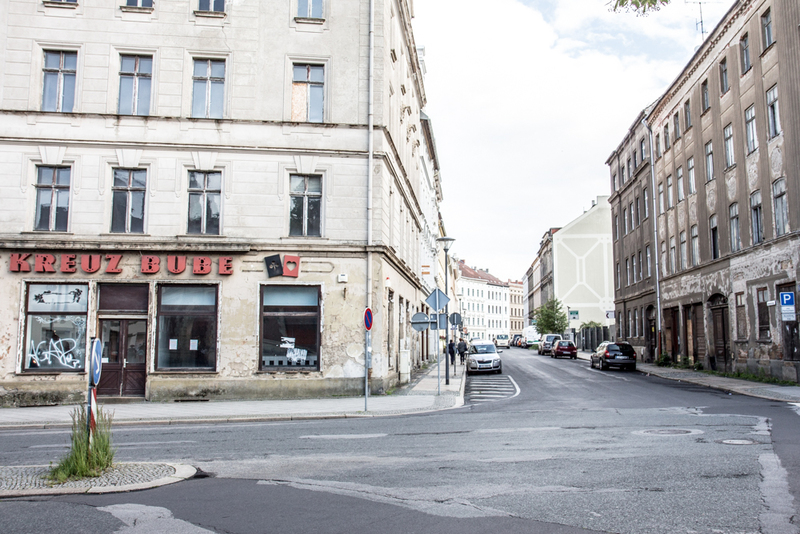 But as Görlitz is actually not that big it’s also okay if you book a hotel which is not located near the old town, as you can always easily walk there in a few minutes.
? 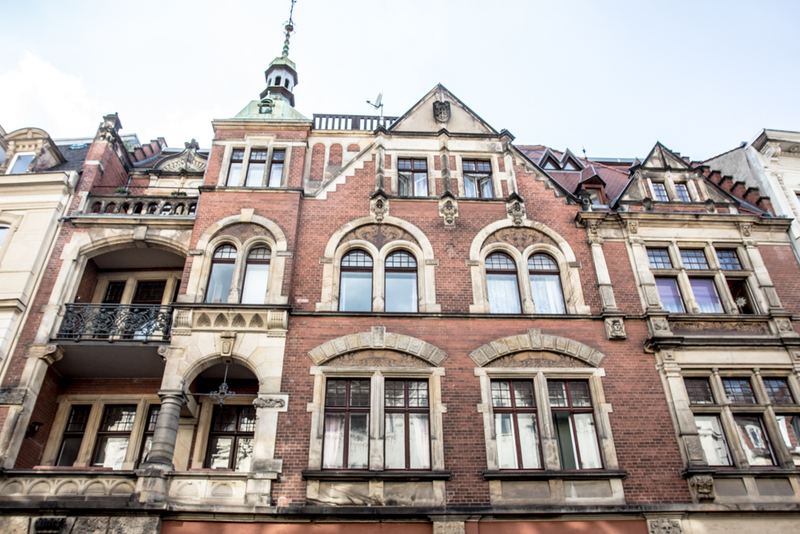 Hotel Schwibbogen, located directly at the Obermarkt with historic murals in the breakfast room. 100% recommendation rate at HolidayCheck. Rooms from €70/night.
? Hotel Börse, at Untermarkt in Görlitz. 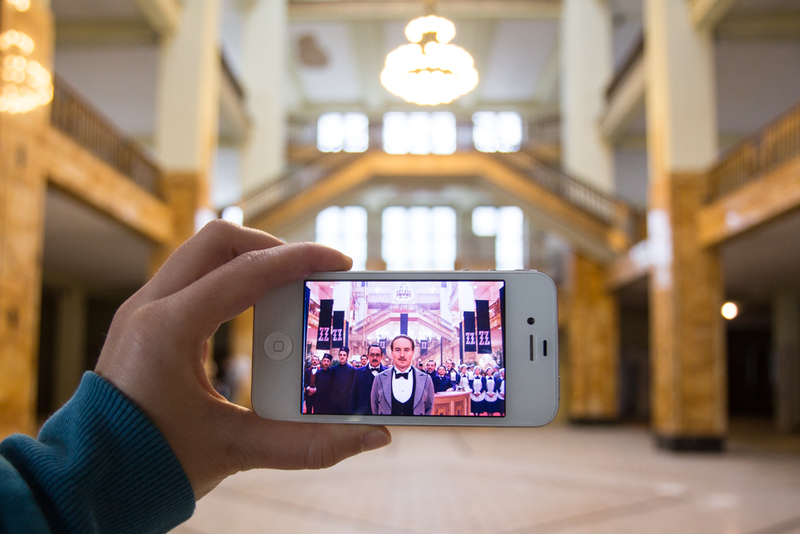 That’s the hotel where all the stars from Grand Budapest Hotel stayed in. It also has a 100% recommendation rate at HolidayCheck. Rooms from € 75/night. 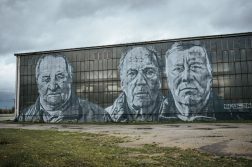 Have you been to Görlitz? What are the best thing to do there in your opinion? Disclosure: This post is brought to you in partnership with HolidayCheck. And I also want to thank MietwagenCheck for the rental car. I really enjoyed this post! 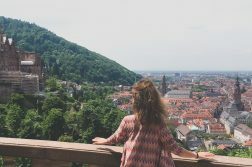 I had actually never heard of Gorlitz before, and this list was a great introduction to the city. The section about the “Verfall feiern” building was fascinating to me– I also love old buildings, and Gorlitz definitely has some beautiful ones. I’m glad you had such a great trip here! Happy I could introduce you to Görlitz! 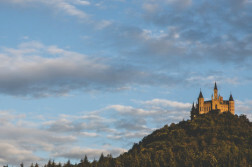 You really should consider a visit next time you’re in Germany! And yes, old buildings are the best! I have seen lots of nice towns in Germany but Görlitz is in my opinion most beautiful of them. I would also recommend visiting nearby lake The Berzdorfer See. 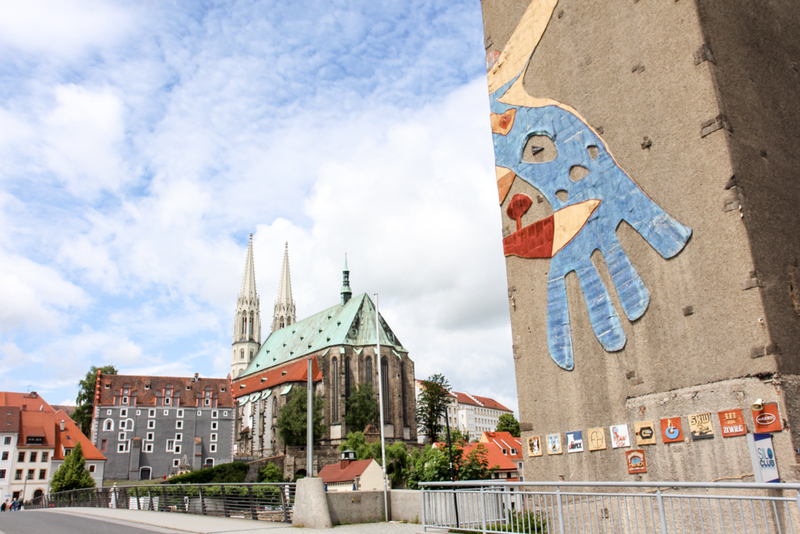 I just did a few days’ trip through Saxony and stayed a night in Görlitz. Can’t believe it’s only been six days since I went! For those who would rather stay a bit out of the downtown, the Parkhotel was wonderful and is located on a corner of the city park. It was truly a beautiful town and I wish I had planned more days there. I was sad to see some of the buildings, especially those in prime location near the water, were practically abandoned. The old condenser factory on the riverfront seems like it would make an awesome hotel or other service business, but is just a dark hulk with broken windows and smashed beer bottles inside. However, I loved the cafes and restaurants not just in the downtown, but across the river in Poland. I was amazed at what excellent food and beer I could get for very little money. Visiting Gorlitz, end of January. Are there nice bars\nightclubs around?